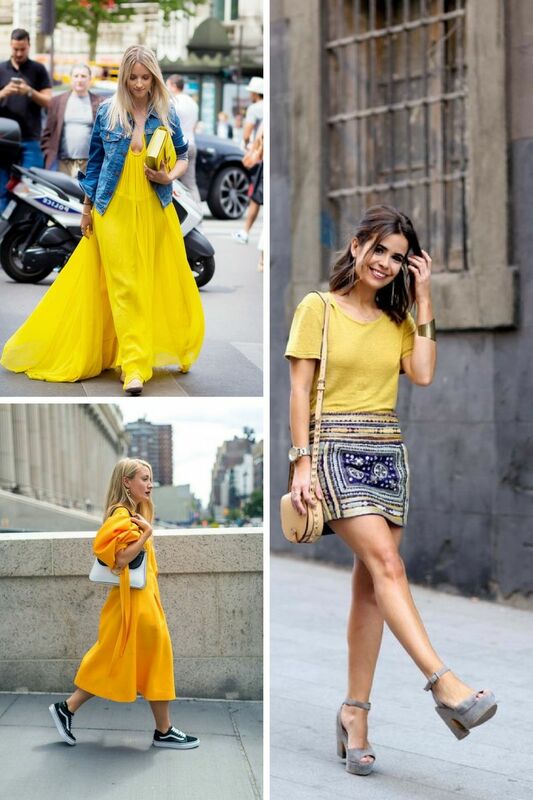 Update your Spring outfit by adding yellow color! In this blog post, I will try my best to show you marvelous ways how to make yourself stand out from the crowd by adding this bright color. Forget about all those dark colors you used to wear in cold season, it’s time to try something fresh and ideal for sunny spring days. 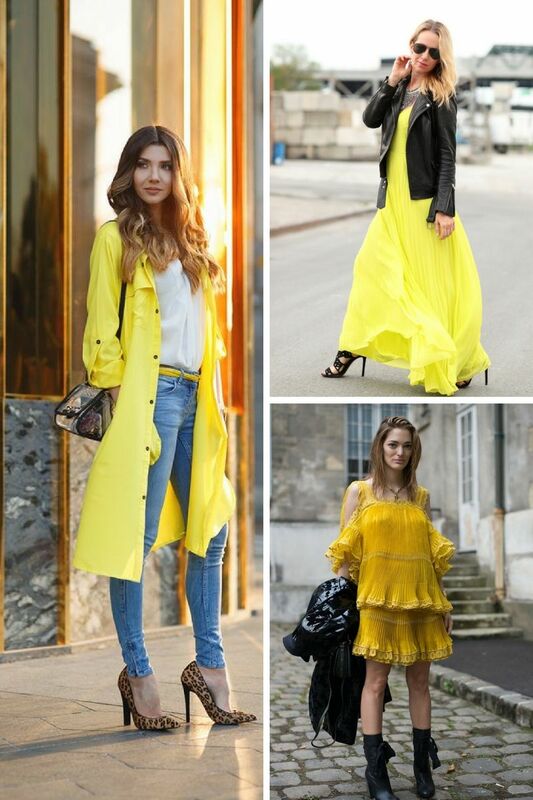 Replaced your neutral hues with a lively and bright yellow color. I have picked the best street style outfit ideas on how to implement yellow color into your everyday looks. 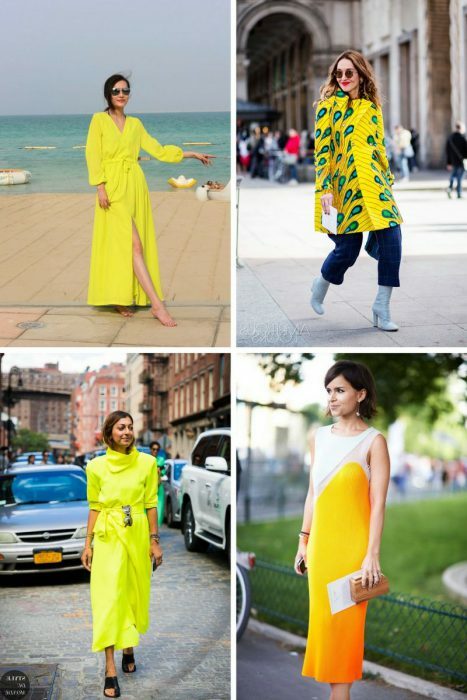 I am pretty sure, everyone who is reading this post right now gonna fall in love with each one of these styles. Sure, yellow is not everyone’s piece of cake, but there are different shades you can try, from bright and neon to a dark one. 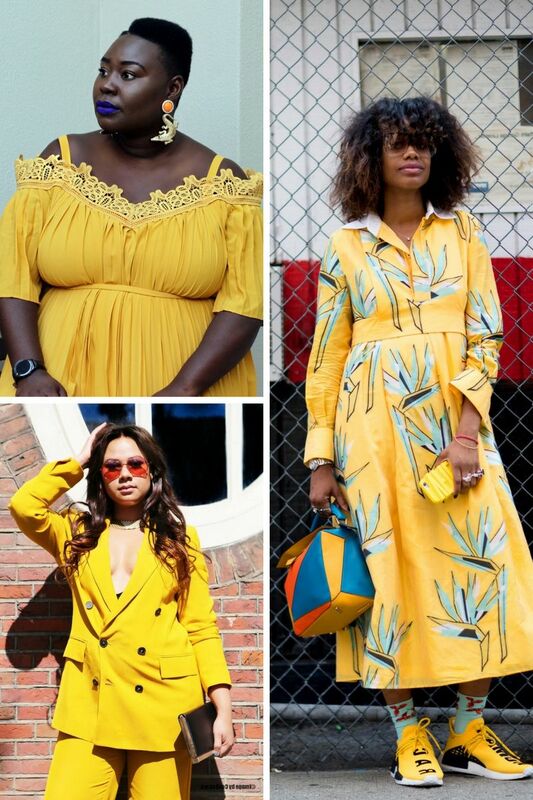 Why is yellow so popular lately? 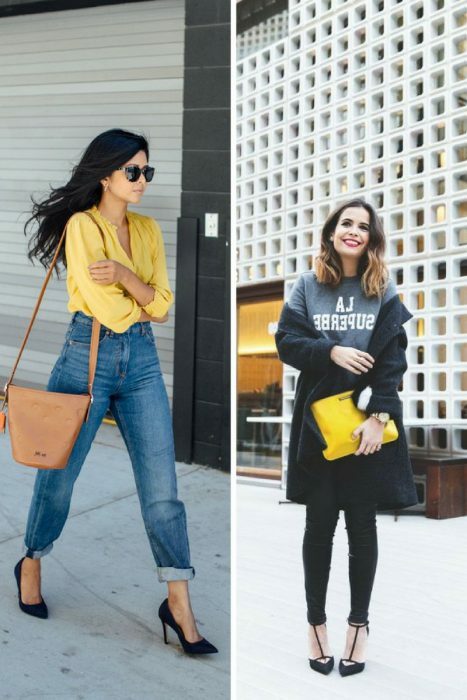 It’s super easy to combine with all your favorite accessories, shoes and clothing essentials. 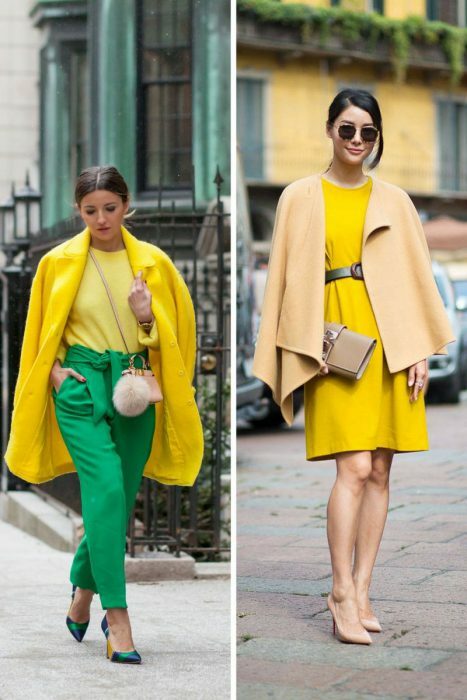 It can be teamed with neutral colors, like white, black, grey, blue, navy, etc. I understand lots of you have never tried yellow before, that’s why the safest way to make it work for you is to start with accessories or simple clothes. 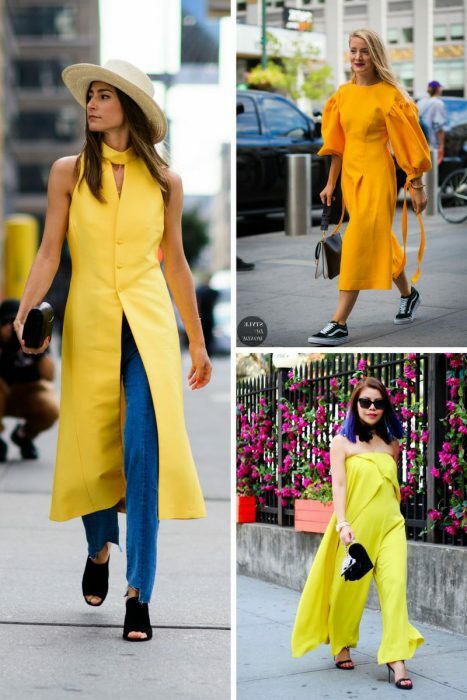 For instance, try on a yellow waistcoat by layering it over your favorite light blue shirt paired with knee-ripped slim jeans and white trainers, or go for a slip tank top in yellow by teaming it with knee-ripped black skinnies and suede grey-brown booties. 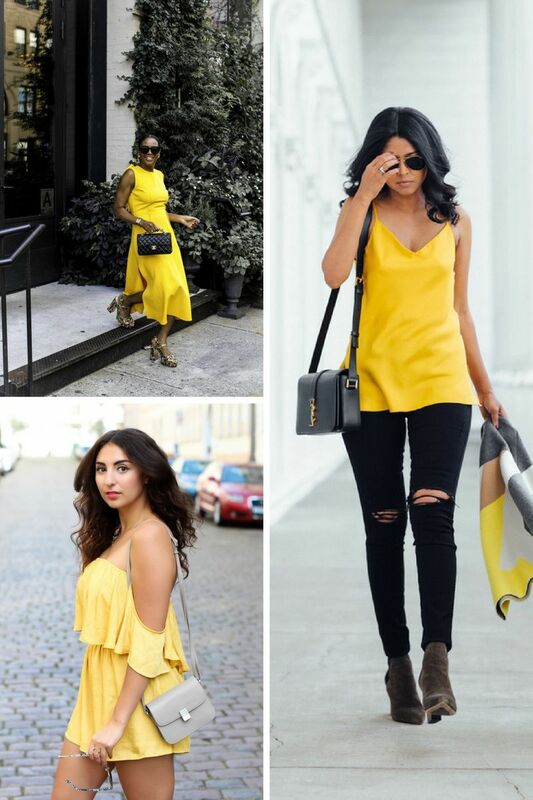 Once you know how yellow works with the rest of your clothes, then you can start experimenting with yellow dresses and separates. 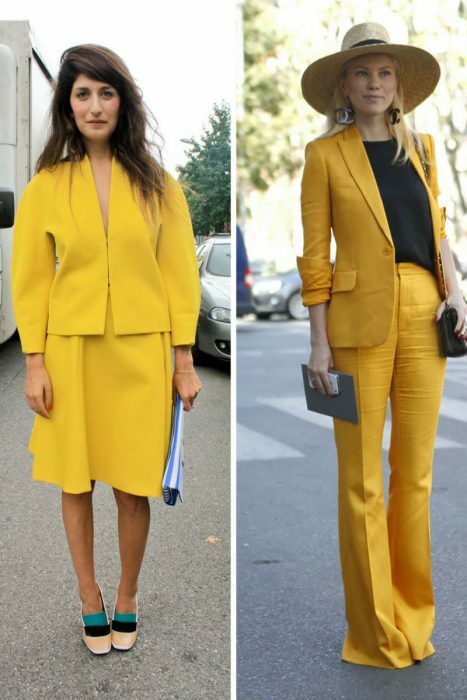 Trust me, there is nothing hard in making yellow a part of your outfit. 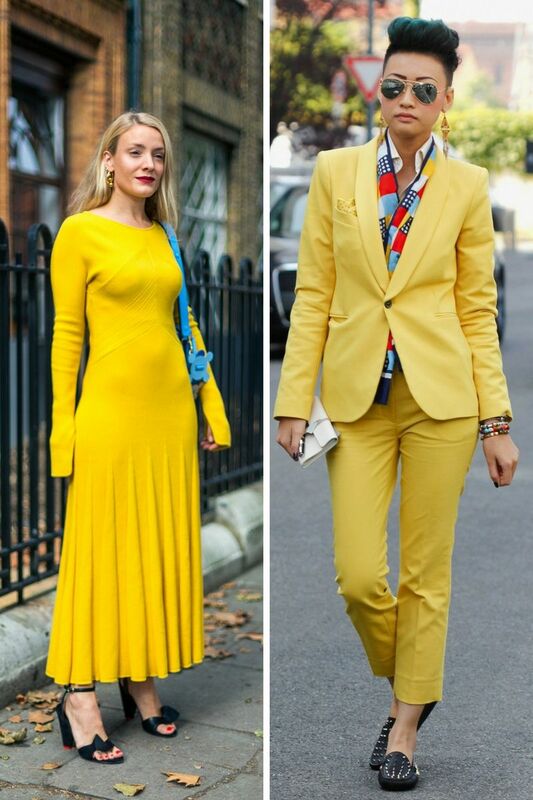 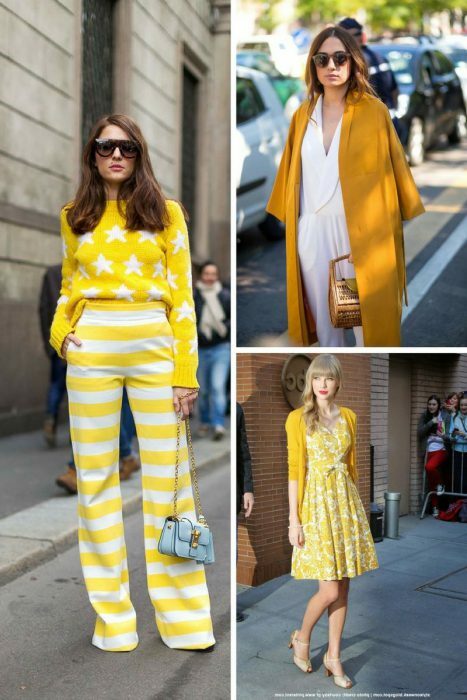 Check out best yellow color outfit ideas that we have chosen for you to make a bold statement on the streets. Please, don’t forget to tell me what combo is your favorite in the comments below. Thanks!